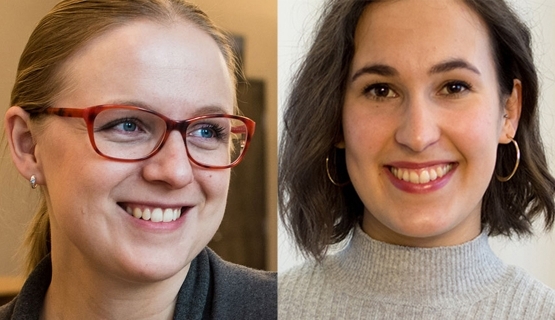 Aino Aho and Salla Lukkari from Next Gen Marketing Professionals share their experiences and insights from the program. Disneyland Paris makes us feel welcome. Ruisrock makes us feel we belong. Finnair makes us feel that something new is about to start. And Taffel Broadway takes us back to the get-togethers of our teenage years. These are examples of experiences and products that touch something deeper and arouse emotions. Now with the existence of homo economicus increasingly questioned, customer needs having become the cornerstone of marketing education, and blogs praising emotionally interesting brands, it is clear that there is something in emotions that should be taken seriously. The more we think about it, the more it makes sense. Do we remember all the mean words that we have come across during our lives? Maybe not, but we do remember the uneasy feeling we had. Similarly, we might not remember exactly why the thought of a certain teacher, colleague or distant relative makes us feel safe, warm and encouraged, but we do remember the good vibes. This also holds true in our encounters with brands. People’s emotions and needs matter, and this is an interesting aspect of brand communication. One of the most important lessons of our traineeship has been the impact of simple and effective communication. Stories, archetypes and emotions are great building blocks for brand identity and experience – and they are recognized instantly across different cultures. In today’s hectic world, there is no time to lose and quick ways of communicating are essential in order to capture a customer’s attention. Thus emotions can make a difference to revenue streams. Quick ways of communicating are essential in order to capture a customer’s attention. The Nobel prize committee has also recognized the power of emotions. Last year the committee gave the prize in economics to Richard Thaler, a man known for showing that human behavior is not strictly rational. This follows on from the award made to Daniel Kahneman in 2002. Together with his colleague Amos Tversky, Kahneman contributed greatly to our present understanding of decision-making – describing how most of our decisions are made using the quick “System 1” driven by intuition, emotions and snap judgements, rather than “System 2”, which handles tasks such as complicated calculations. If you are not convinced that emotions are something to take seriously, all you need to do is look at brands that use this understanding wisely. Apple makes you a member of a modern lifestyle movement, while Harley-Davidson allows you to be part of a global soft rebel community. Nike makes us believe that we can all become athletes in our own way. Just do it. These brands are fueling themselves through people’s needs and considering what version of themselves people want to become. The way they address people awakens emotions in just the right way. Brands are fueling themselves through people’s needs and considering what version of themselves people want to become. So how can you become strategically emotive in branding your business? As always, there are many questions to answer. First of all, you should have an idea of your brand’s current position. What needs is it meeting and what feelings does it evoke in its customers; how do these compare with competitive brands? What is the purpose of the brand for current customers? What motivates their behavior? Is the brand communicating the feelings and values it is supposed to, and is it communicating in a consist manner? Does the brand’s target group understand what it is trying to say? And finally, is there a gap in the competitive environment which you could own using an updated brand strategy that connects your brand and customers by touching people’s most precious desires? By identifying your specific “brand persona”, you can start building your brand by responding to people’s needs and bringing up the emotions the brand should communicate. Emotional motives are extremely complex as they can be unconscious and hidden, and discovering them is not going to be easy. In a brand (re)positioning project, the insight may even suggest abandoning aspects of your brand, and it will require courage to make the needed changes – especially if you work with an established heritage brand. However, digging deep into your customers’ minds can result in surprising findings, and investing in creating greater emotional connections might result in much more than just satisfied current and future customers – even though the journey might make a brand manager’s hair turn grey! Ultimately, by touching deep into people’s hearts you can win your dream customers’ attention, tap right into their feelings and be remembered. Your emotionally connected customers will increase their engagement and loyalty, showing that uncovering the core of your existence is – if not a necessity – at least rewarding.